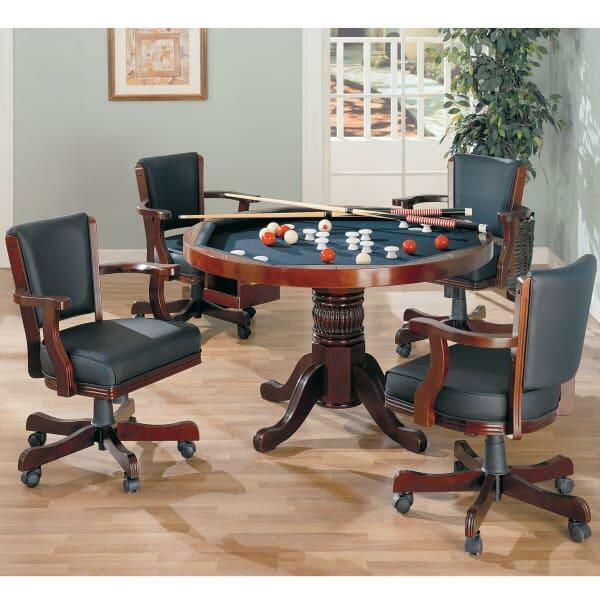 With an exceptional cherry finish and intricate carvings styled after classic European furniture, the New Rochelle Cherry 5 Piece 3-in-1 Game Table Set will bring a distinguished look to your basement, man cave or game room. 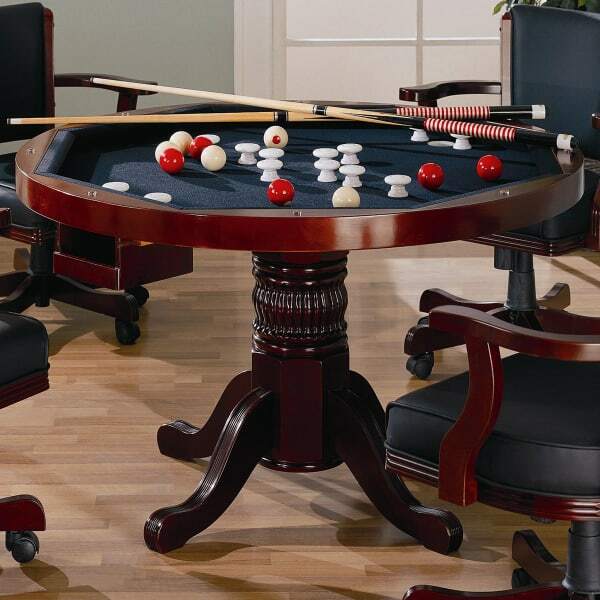 The multiple-use aspect of these Game Tables make them a great addition to any space in any home, offering fun bumper pool, exciting poker and a regular dining table, all wrapped into one stylish package all guests will love. Picture your next football party, with finger food or the most recent hamburgers from the grill displayed on the dining table waiting for guests to come and get it! Or imagine the last bachelor party when poker and bumper pool would have been a great pastime. The New Rochelle Cherry Game Table Set will solve all of these issues and more, with a multi-purpose function that is rarely seen in other tables! 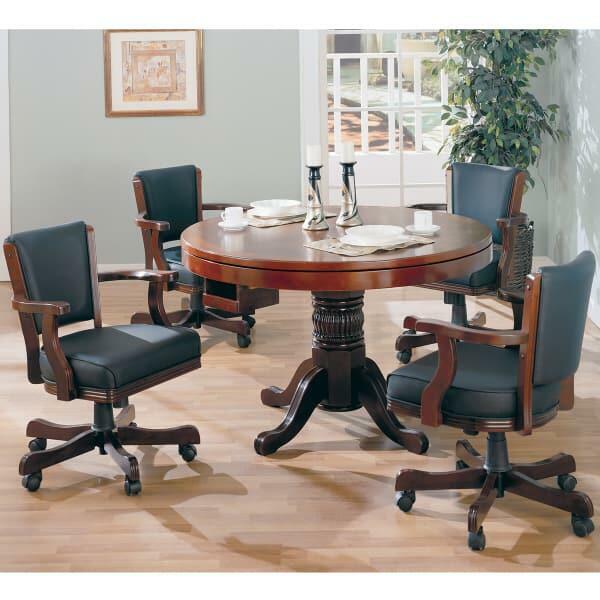 W 23" x D 25" x H 33"
W 47.25" x D 47.25" x H 30"
This item requires freight delivery. This shipping method uses a full size semi - truck and product can be delivered to a street side location or into a room of choice based on the level of service requested. Most delivery times within the Continental U.S. range from 5-7 days on in stock merchandise. 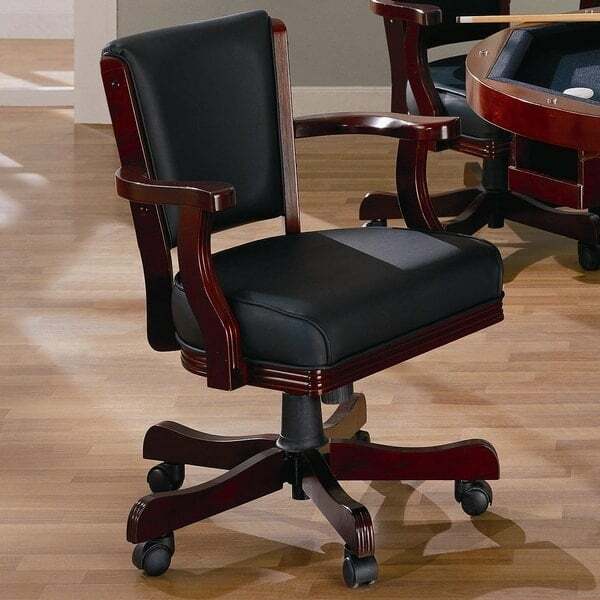 A representative will call to schedule your delivery which will require a signature upon receipt.